MLB Blog: Why hasn't Cueto signed yet ? Johnny Cueto was a 'hired gun' starting pitcher for the Kansas City Royals down the stretch. 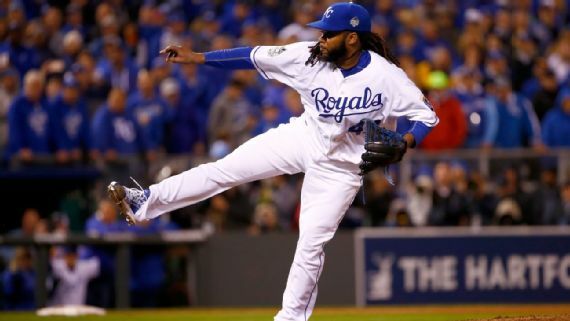 The Arizona Diamondbacks reportedly offered Cueto a 6-year, 120M contract which was rejected. Suffice to say that the Diamondbacks are no longer interested since they signed Zack Greinke. His performance had it's ups and downs, both during the regular and post-season. Cueto's camp states that he is not in a hurry to sign. Clubs already know that 120M over 6 won't be accepted and are questioning whether his value is worth more...perhaps ?